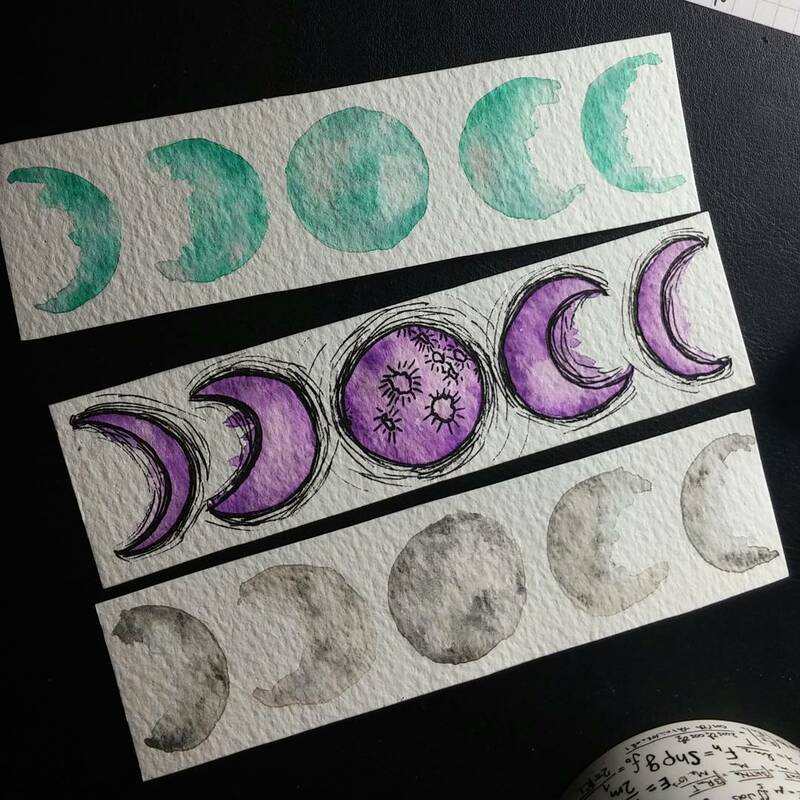 Some very simple watercolour bookmarks! Watercolours lend themselves perfectly to moon-like things, so here's how to do it in 5 easy steps. Draw 5 circles of the same size in a line on watercolour paper, with a compass if you have one, or just draw around something. With water, paint the moon phases using your circles as a guide. While the paper is still wet, dab a few splodges of your chosen colour into the shapes, being careful not to use too much paint. Add more colour as required and then leave the paint to dry. You can use a dry tissue to dab off paint while it's still wet if needed. Draw on any details with a pen if you like. I couldn't decide if I liked it more with or without the pen, but it definitely looks neater. So there it is. 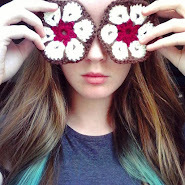 Make just one for yourself or loads at once to give to everyone you know!